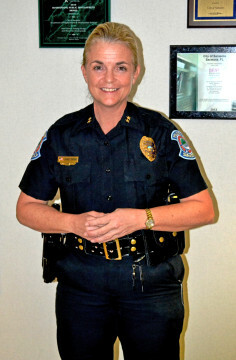 The Sarasota Police Department’s next community meeting in its New Beginnings II program will be held on Wednesday, May 11, at the Robert L. Taylor Community Complex in Sarasota, the department has announced. The session will begin at 6 p.m. and is scheduled to conclude at 8 p.m., a news release says. The Taylor Complex is located at 1845 34th St. This meeting is an opportunity to have an open discussion about community-orientated and partnership policing, as well as quality of life issues, the release points out. It will be a continuation of neighborhood sessions held in July 2014, September 2014, January 2015, May 2015, September 2015 and January, the release adds. “These meetings are a chance to continue the conversation about public and officer safety,” said Chief Bernadette DiPino in the release. “We will continue to work together to keep our community safe, build relationships and trust, and partner with our community to keep the City of Sarasota a safe place to live, work and play,” she added in the release. Residents, community members and business owners are invited to attend the session, the release notes. Just another smoke screen by Bernadette to win over the public. She did the same thing in Ocean City MD when she was chief. I would know, I work for the PD.